Change the way you heat – Heat your floors including shower floors, shower benches, and steam rooms. Nuheat floor heating is a perfect heating option for new homes, renovations or additions. Ordering is easy at Area Floors, just ask us how. 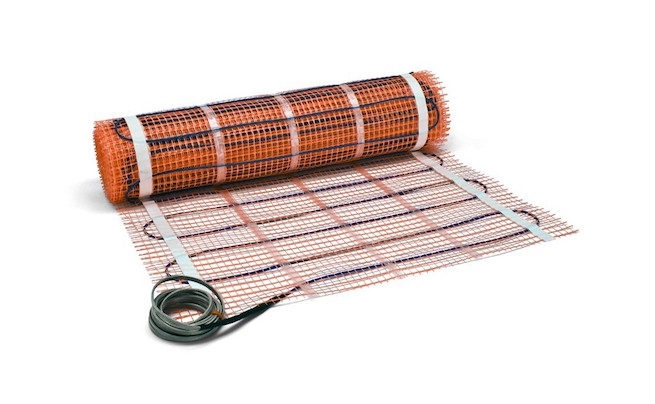 Heating your floors is a great option for any Portland home owner, and it’s easy with Nuheat mats! This cost effective heating solution will warm your floors maintenance free. These mats come in standard sizes for basic layouts or custom mats for rooms with more intricate layouts. Nuheat Floor Heating Systems provide soothing warmth to various types of flooring surfaces including tile, stone, granite, laminate and engineered wood. Custom Mats are available for rooms with curves and angles – custom manufactured in only three days! Standard Mats are also available for a basic layout in over 60 sizes off the shelf in square and rectangular sizes.